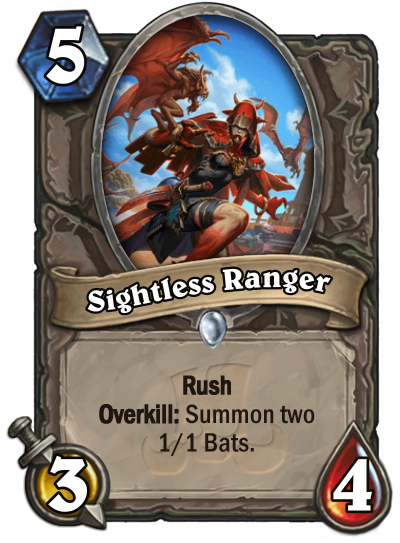 Sightless Ranger is a new 5/3/4 minion card revealed by Hearthstone on Twitter and Captain Hooktusk is a Rogue Legendary unveiled by Disguised Toast. Check out our Rastakhan's Rumble Expansion Guide for more information! 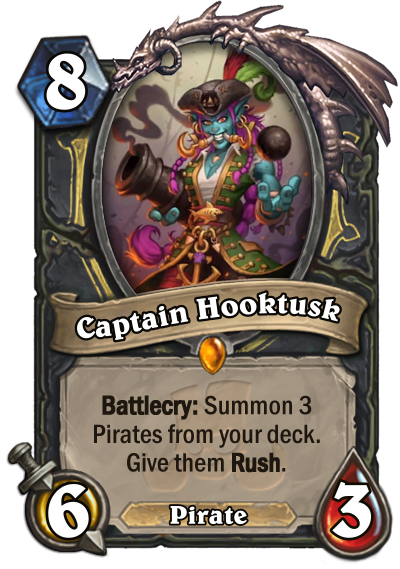 Captain hooktusk seems good but 8 mana is a bit much for rogue !